1. Introduce Science with some activities using carrots: Practice using the scientific method by observing and labeling parts of a carrot. Watch them grow in a class garden, Use carrots to show students how water is stored in living things. Cut carrots into sliced for students to observe the different grains and patterns in carrots. 2. Recycle those soup cans to make these adorable bunnies. Add some Easter grass to the inside and you are all set for the Easter bunny to drop off some chocolate candy eggs or jelly beans. 4. Use recycled toilet paper rolls to create these adorable bunnies ( Have students paint white and then use a Q-tip or other small round object ( like the end of a marker) to add polka dots. Cut out ears from felt or decorative scrapbook paper. 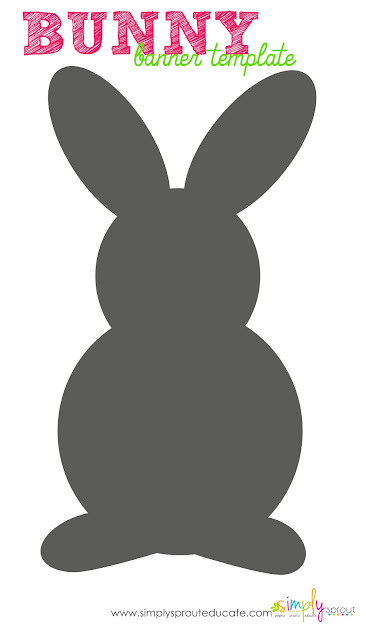 Use pipe cleaners, googly eyes and a button to finish off the bunny's face. Be sure to add a fluffy cotton ball for a tail. 5. This adorable Carrot Garland can be made using construction paper. This is a great art project to go along with the book The Carrot Seed. Extend this craftivity into science class and have students plant carrot seeds into recycled egg cartons. Watch them sprout over time and log changes in your science journal. Right click the image above and save to your computer, insert the image into a word document and drag corners to resize as needed. Print one and use it as a template, trace onto colored scrapbook paper and cut out. 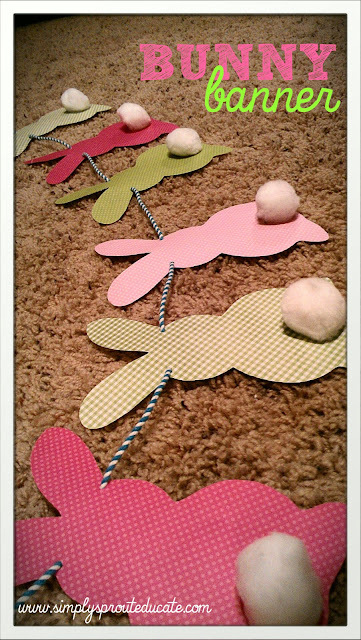 Add a cotton ball or pom pom for a little tail. Hole punch on the side at the top of each ear. 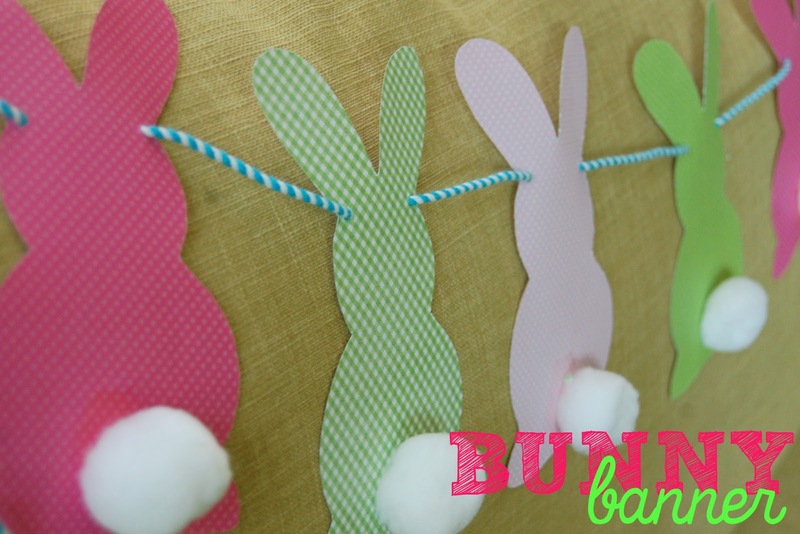 Slide ribbon through the holes to create your bunny banner. For the classroom, give students a template of the bunny on construction paper, have students decorate their bunny. You could have them use paint, crayons, water colors, colored pencils, markers, stickers etc. the possibilities are endless. 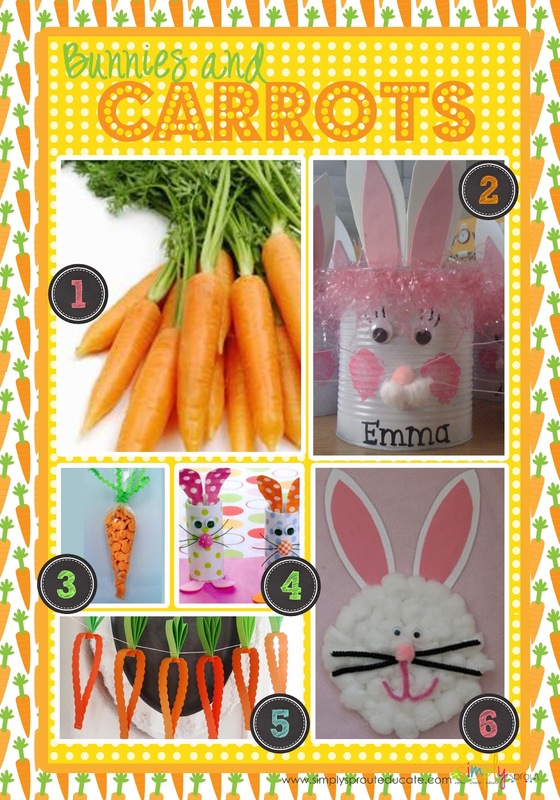 Visit our Pinterest Boards for more great Easter themed activities. Be sure to sign up to be a follower!